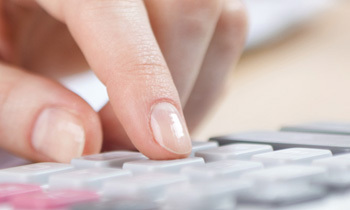 Our moving calculator helps us ensure we provide the perfect removal service for you. 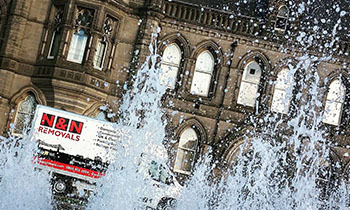 N&N Removals has been a company since 1996. 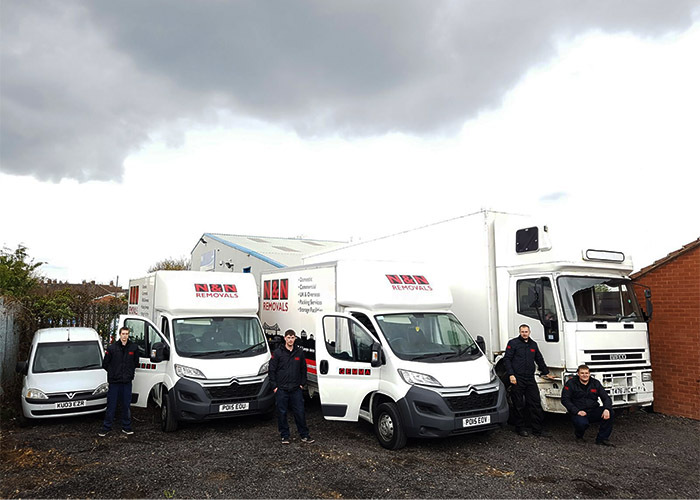 The business has grown a great deal over the years, firstly becoming the number one for removals Middlesbrough has. The service then expanded outwards, catering for Stockton on Tees, Hartlepool, Darlington, Redcar, and the wider region. The growth didn’t stop there either; it continued until we serve the whole of the UK and overseas clients too. Whatever the size and specifics of your move we can deliver a tailored service and unbeatable quality. You can call on us if you are moving locally, further afield in the UK, or relocating to a new country overseas. As you can expect no project is too large or complex for us; we will find the perfect solution. As a professionally run company, N&N Removals understands the importance of excellent customer service. We have a simple approach that serves us very well; offer value for money and do all we can to support each and every client. This ensures our customers keep coming back, time and again. It has also provided us with countless referrals and built our fantastic reputation. As part of our service we offer free expert removals advice tailored to your specific move. We understand that every project is different and must be treated as such but there are many similarities. Over the years we have seen almost anything that can occur with a removal and delivered the services that satisfy every requirement. With our advice you can plan effectively, avoid many issues, and overcome those that can’t be avoided. 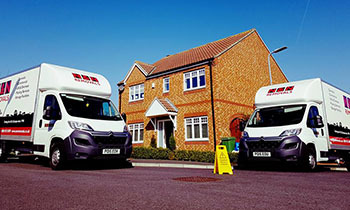 We give every customer the reassurance that we will turn up on time, have the right number of staff with us, and bring everything we need to complete your move smoothly. 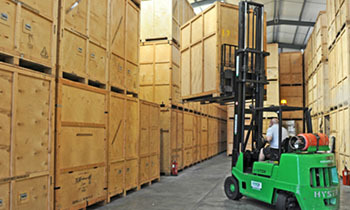 Our experienced team have the skills and expertise to handle all your possessions with care and respect. That is why our packing service is so highly regarded. Our services are available for all kinds of clients, including domestic, commercial, and all kinds of specialist moves. We have the same commitment to quality and value for money every time so you will never be disappointed. If you’re looking for removals in Stockton, Hartlepool, Darlington, Redcar, or anywhere else in the UK we could be the perfect company for you. Contact us today to discuss your needs and we will take the first steps in creating a service specifically for you. Our staff are trained uniformed professionals, all experienced, competent movers who are helpful and polite. N & N Removals operates a fleet of specialist, liveried removal vehicles which come complete with transit blankets, trolleys, webbing and all necessary materials to ensure adequate protection of your possessions. Our professional household removals service is tailored to your specific requirements, and as standard, includes free expert advice, a removal company that turns up on time, with experienced staff who have the skill and expertise to handle all your possessions with care and respect. For small scale moves, N & N Removals has a competitively priced, excellent quality Man and Van removals service. We offer a friendly, reliable and flexible service, and are more than happy to quote for any job, whether an individual job requiring a couple of hours or so, or all day hire. Quotes include the assistance of the driver/s in loading and unloading the Luton transit van. See Prices for charge rates. N&N Removals works closely with the commercial sector, and has in-depth and successful experience of both small and large scale projects. 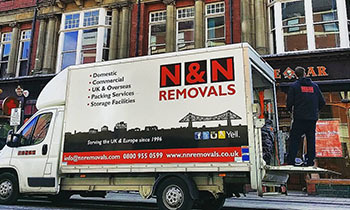 N & N Removals commercial removals service often works within complex and demanding environments, with tight, immoveable deadlines, and a constant awareness that core businesses must continue to function with minimal disruption during any move. We work closely with commercial customers and their teams to anticipate every detail, and our consultation process includes an on-site planning meeting to discuss logistics and specialist requirements, and regular liaison throughout the project. N&N Removals supports a full packing, part packing or owner packing service which includes the free loan of packing materials. Our full packing service includes a team of trained packers sent to your home prior to the move, where all items are prepared for the move. Special care is taken with fragile and precious items to ensure safe arrival at destination. Our service can also include dismantling furniture as necessary, and help with unpacking goods and reassembling furniture and effects as required on arrival. Alternatively, if customers choose to pack their own possessions, N & N Removals will provide a free loan of packing boxes and tape. N & N Removals uses top quality packaging materials and boxes to properly protect goods, so that they can be transported in the safest way possible. Our removal boxes and packaging materials are durable, cost-effective and reliable. Packaging materials including boxes, packing tape, wrapping paper, bubble wrap, floor coverings and portable wardrobes are available for direct purchase outside of our removals service.